It's time for an update on both the UK General Election and the Brexit process, which started more than a year ago with the referendum on EU membership (June 23, 2016). 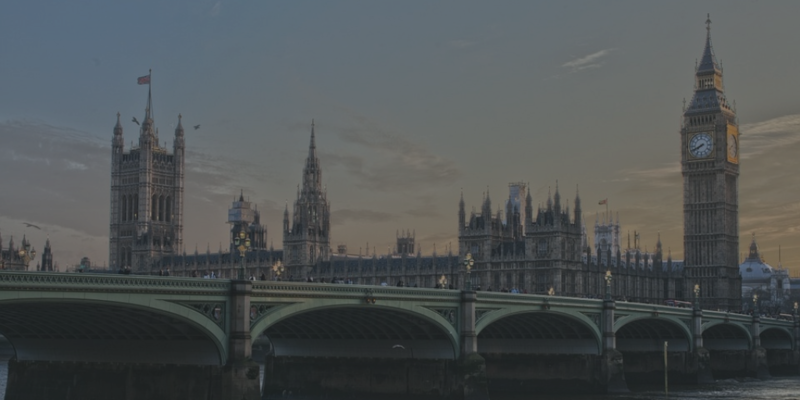 This article will review the current political status in the UK, the negotiation process between the UK and the EU, and the potential prospects for the upcoming months. The Conservatives did not expand the majority they had before the elections. The Conservatives even lost the fragile majority they once enjoyed. The lack of a majority winner is called a 'Hung Parliament', but this never stopped the Conservatives from taking the lead in forming an alternative government. It also did not block the 'Tories' from starting the Brexit negotiation talks with the EU. After the Snap UK Election, Theresa May ignored calls for resignation as she indicated that a leadership battle within the Conservative Party would not help the UK's negotiating position versus the EU. Stability was her main motto. The Prime Minister's hope was on a coalition deal with a second party. There were weeks of negotiations between the political party of Northern Ireland, DUP (Democratic Unionist Party), and Theresa May's Conservative Party. Just days before the House of Commons were going to vote on their key plans (the content of the legislative plans for the Government), the Conservatives managed to secure a majority-backed government by receiving the official support of the DUP and its 10 Members of Parliaments (MPs). Theresa May (Conservative Party) and Arlene Foster (DUP) agreed on a deal earlier this week on Monday, where the DUP will provide support to the Government on the key issues in return for extra three major concessions, including extra spending power for Northern Ireland. These issues include among others Brexit and security legislation, the UK's continued 2% defence spending to meet NATO's target, and cash support for farmers. The deal is intended to last till the next round of scheduled elections five years from now with a review in two year's time. Whether the coalition will last remains to be seen. Any failure to deliver could lead to a new round of elections. For the moment, the UK has a majority-backed the Government which can discuss Brexit with the EU. The Brexit negotiations between the UK and the EU started on 19 June 2017 and have already lead to some expected fireworks between the two. Both parties are discussing the rights of their nationals – European nationals in the UK and British citizens in the EU. Theresa May offered EU nationals the right to remain in the UK after Brexit, but the first plan was seen as inadequate with the EU calling it vague, offering no sufficient protection for its citizens in the UK. The British have made their offer contingent on the fact that the EU also ensure equal rights of the British living in the EU. Population rights are just one topic. Other important areas of discussion will be, among others, access to EU markets, immigration, trade, and law. One of the first priorities for the EU will be the financial settlement it expects from the UK for past promises. It will, however, be the UK's choice whether to aim for a 'soft' or a 'hard' Brexit, or anything in between. With the Conservative Party in charge, immigration control could be a tough topic to negotiate on, whereas the EU will not provide access to its internal markets (free movement of goods) without the free movement of people. How the exact negotiations between the UK and the EU play out remains to be seen. In the meantime, the opinion polls might provide more information about the UK voters and their opinion on whether it was right or wrong to leave the EU (see image below). The UK has only two years to agree on an exit deal with the EU, which is a short period of time considering the wide range of topics. A failure to deliver would mean that the UK-EU relations automatically fall back on NATO and the WTO (World Trade Organisation) agreements. The UK could only count on an extension if all the remaining – 27 – EU members agree. The Brexit clock is ticking from 29 March 2017, which means 1 year and 9 months left before the UK exits the EU. For more articles, webinars, and information on trading, make sure to visit our main page at Admiral Markets. Also, feel free to test Admiral Markets' MetaTrader 4 Supreme Edition – a special plugin with 60+ extra features to tackle the markets including a package of extra indicators.